On Matchday 13 of the Ukrainian U19 league, Shakhtar played an away game with Stal. The Pitmen got two wins a in a row in the Ukrainian U19 league, bettering their position in the table. It should be noted that midweek Serhiy Kovalyov’s charges played a very tough game in the UEFA Youth League against Malmo. Stal started the season with six wins, but in the recent rounds they have lost points. Despite that, Stal are still among the leaders of the group. The opponents started the game very cautiously: the hosts deliberately gave the initiative and the Pitmen were getting used to unusual synthetic pitch and were looking for weak areas in Stal’s game. The first dangerous chance came only on the stroke of 20 minutes. Igor Sukhaninskiy tried to send the ball in first time after a cross from the flank but the goalkeeper made a save. Oleksandr Pikhalyonok darted into the penalty area, beat the goalkeeper, but hit the just wide from a tight angle. Stal kept open football and responded with a dangerous attack, but the ball hit the goal post. The end-to-end game was lasting until the break, but none of the teams managed to score. The second half saw Shakhtar dominate proceedings. The Pitmen managed to score on 65 minutes. After a cross from the flank, the ball bounced to Yuriy Senitskiy for the defender to hit the target to make it 0-1. The hosts rushed forward, but the Pitmen’s defence could have scored again. Oleksandr Glagola curled the ball to the far post – the goalkeeper made a save. Arthur Avagimyan and Igor Sukhaninskiy just missed the target. The closing stages of the game proved to be tense, but the final storm from Stal came to nothing. 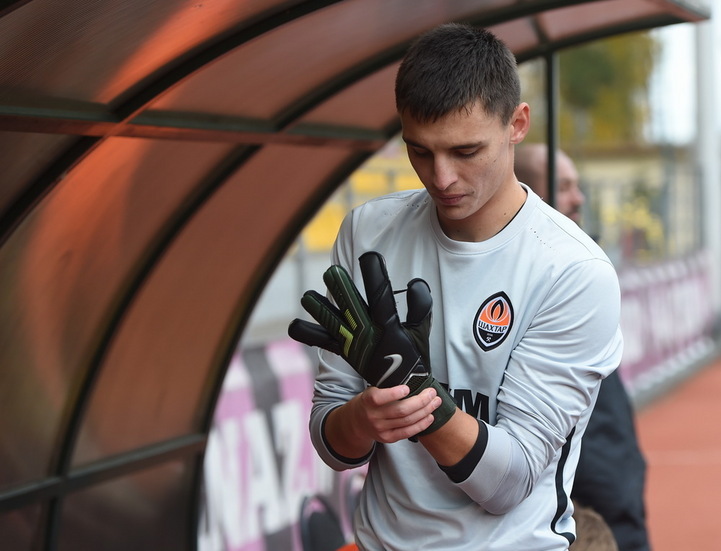 Having beaten Stal, Shakhtar continued their winning streak in the U19 league. Serhiy Kovalyov’s charges will play their next game against Skala Stryi (1 November) and the UEFA Youth League game with Malmo. - Indeed, it is tough to play third game in one week. Moreover, five of our players are now not available due to being unfit and injured. We had to work virtually from the scratch. We told the boys that it wouldn’t be easy to win. Stal are strong and skillful opponents, who quickly make transitions from defence to attack and impose their game in the opposition half of the pitch. We are very grateful to our team for not losing concentration from first to final second, for showing commitment and character, which is peculiar to Shakhtar Donetsk. Today our team were really united! The coaching staff are pleased with the game as well as the boys’ attitude to the match. Those two components were decisive. We still have problems in terms of conversion of chances both in the domestic league and the UEFA Youth League. Indeed, it is a big minus, but we work on that during training sessions and, I think, will get rid of that setback. We have a game with Skala coming up – based on two sides’ agreement, we will play it away from home, because after two days we will play versus Malmo in Morshyn, which is near-by. By that time we will try to make sure all the boys recover – we are determined to win. - We not lying in our place in the table. We aim to win in every game and become champions. I am glad that we got a positive result and took all three points. As a defender, first of all, I am glad that we kept a clean sheet. Yes, I managed to score a winning goal, but it is the merit of our whole team. It is early to talk about us finding our game, but if we still have the same level of desire and commitment, we will succeed.